Hassle Free Septic is an affordable, Honest Family-owned business providing reliable service to Chisago County, and parts of Isanti, Anoka, and Washington County and surrounding areas. We have the specific equipment and expertise to get the job done right and in a timely, cost effective manner. Not all problems are the same, you want a company that has been thru it before, you want a company that knows and understands how your system operates. We have dedicated staff that can serve all your septic needs, such as septic tank pumping, straight rodding, installing baffles, replacing junction box covers, septic tank covers. High pressure steamer jetter for clearing lines. We have a specialized camera for inspecting and locating lines. We offer the lowest prices around for septic pumping, septic maintenance, septic repair and drain cleaning. Our work is guaranteed and environmentally compliant. Hassle Free Septic offers you fast, knowledgeable service and repairs. 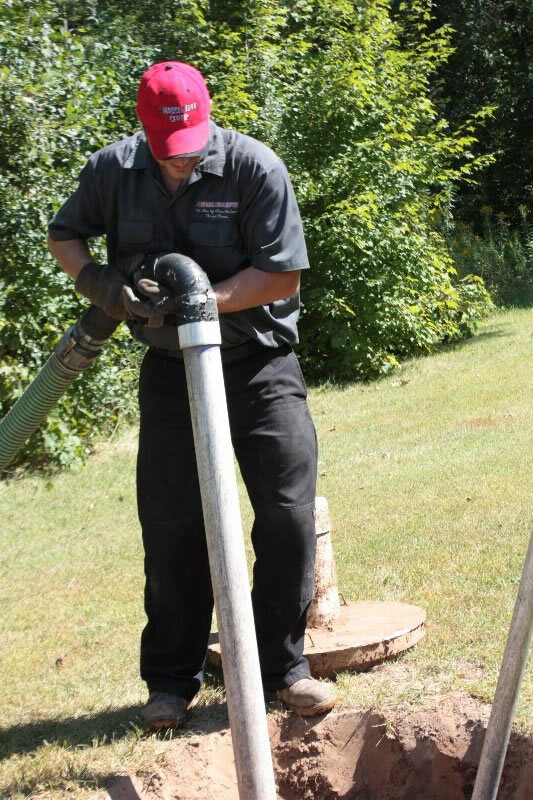 Our experienced crew will get your septic system back to working order as quickly as possible. Hassle Free Septic is licensed, bonded and insured. Call Hassle Free Septic for a free estimate or to schedule an appointment today!